Does your farm need some new friends? Does your farm need some more friends? Heartland Farm Sanctuary recently rescued 126 chickens from a cockfighting ring in Glenwood City, WI. Now it's time to find loving homes for these beautiful birds! 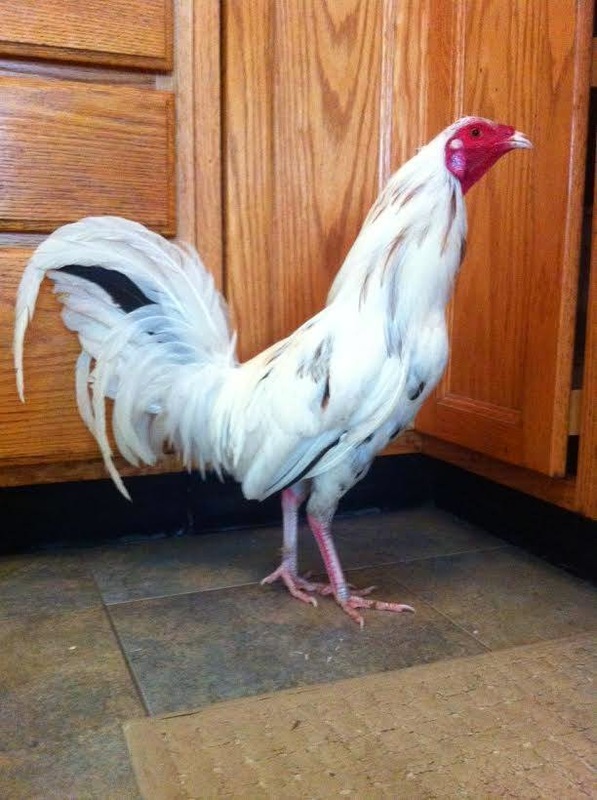 Pictured is Malcolm, a young Kelso rooster who loves people. If you're interested in Malcolm or any of the other adoptable birds, contact Quincy.Markowitz@HeartlandFarmSanctuary.org . Make sure you follow Heartland's Facebook page, as they will be posting info every Friday about other adoptable birds from the "Cluck Club". If a pig or sheep more strike your fancy, check here:http://heartlandfarmsanctuary.org/rehoming-program/ There are some special barnyard friends waiting for a new home--could it be yours?